(click image to enlarge) Buy now, ships early January. Fanatic Heart is a movie produced and directed by Stephanie Silber and Vic Zimet that is currently doing the film festival rounds in the US and Europe. Black 47 gave Stef and Vic fly-on-the-wall privileges for 15 years, in which time they filmed many concerts and toured with us in Ireland and across America. 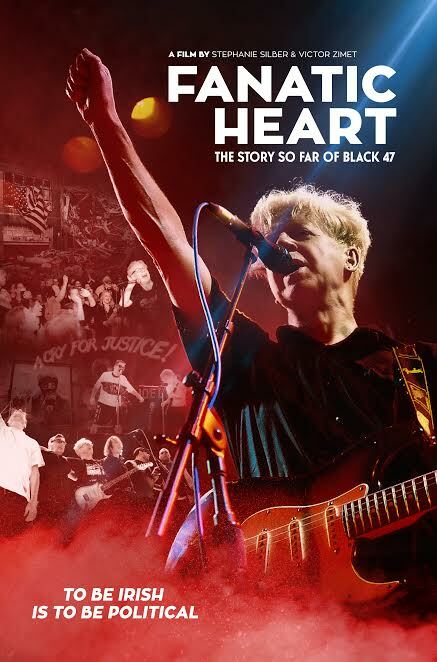 It's a no holds barred view of Black 47 showing the many triumphs, tragedies, joys and failures of a political rock & roll band that began in the working class bars of The Bronx and, without losing their principles, ended up playing stadiums and every show on national TV. (click image to enlarge) Times Square is the crossroads of the world, and on New Year's Eve it becomes the eye of the hurricane. Since 1989 Black 47 has played within shouting distance of the dropping ball. 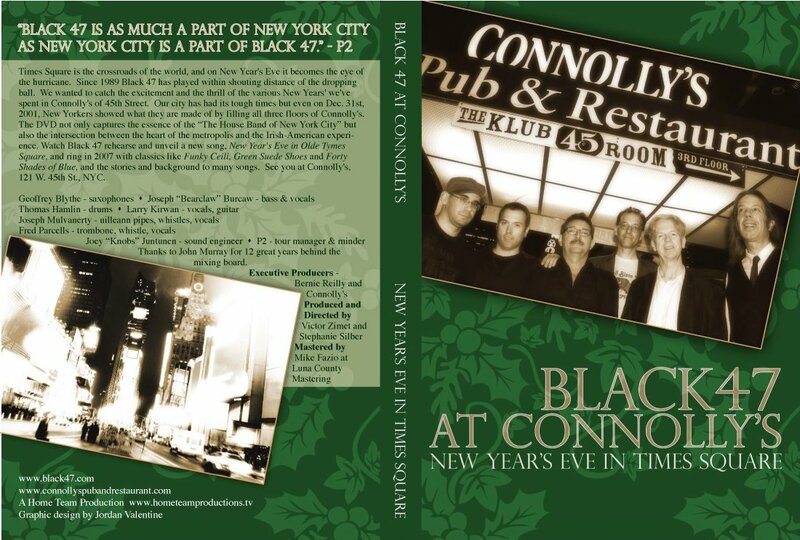 We wanted to catch the excitement and the thrill of the various New Years' we've spent in Connolly's of 45th Street. Watch Black 47 rehearse and unveil a new song, New Year's Eve in Olde Tymes Square, and ring in 2007 with classics like Funky Ceili, Green Suede Shoes and Forty Shades of Blue, and the stories and background to many songs. The Story So Far is a limited edition DVD release sold only on conneXtion.com It contains Funky Ceili and other videos shown on MTV, many TV appearances and rare live footage, interviews with the band and fans while on tour of Ireland (you might be on there!). A great St. Patrick's Day present.